Our egg sharing programme was started to overcome the acute shortage of donated eggs. Couples needing eggs were facing long waiting times or the prospect of going overseas for treatment at unregulated clinics. Free treatment was given as a thank you to women who wanted to share their eggs. However, over recent years, with the reduction in NHS funding, egg sharing (and sperm sharing) can offer a way to make IVF treatment more accessible. In order to share your eggs you must be under 35, healthy and agree to free mandatory counselling. At every stage of the process we have egg-share coordinators available for you and your partner to discuss the treatment. If you meet the criteria and want to egg share, then getting you pregnant is still our number one priority. If you do not produce sufficient eggs to share, they will be retained for your treatment and the cycle of treatment will still be free. Egg sharing is not a decision to be made lightly. Although you have no moral, financial or legal responsibility to a child that may result from a donated egg, that child will be able to request information about you when they become 18. This is a possibility that you need to discuss with your partner and is one of the reasons why mandatory counselling is provided. During these sessions you will have the opportunity to talk through the implications, possible outcomes and also the emotional impact of egg sharing. 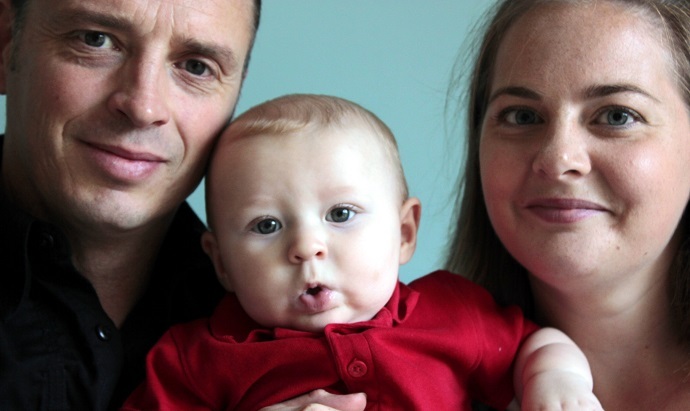 Lucinda and her husband Matthew (pictured) decided to egg share when they began treatment for their second IVF baby. Lucinda explains: “After giving birth to Edward I read about egg sharing and how sometimes women have to wait four years to receive a donated egg. The couple egg shared and it resulted in baby Timothy. The decision was not an easy one and older members of their families were very concerned. You can read their story here, and find out more in the video opposite (or view on YouTube here). If you would like more information about egg sharing for free IVF do contact us for a discussion without obligation. Read about the experiences of others here, and more about Lucinda and Matthew here. Bourn Hall also has other opportunities to make IVF more accessible.